As we get some perspective on the golden age of progressive rock, there have been a number of books written about the bands and people behind the music. 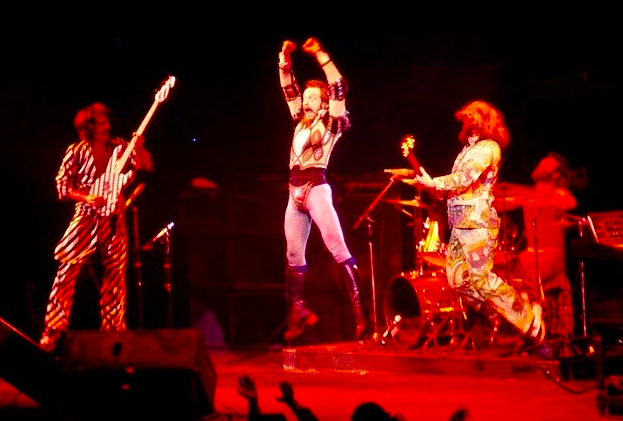 These include biographies both authorized and unauthorized about many progressive rock giants, including Yes, Genesis, Pink Floyd, and Jethro Tull. Some of these are interesting, giving us insight into how the artists crafted their work, their inspirations, the interpersonal dynamics of the band members, and stories from life on the road. Others are much more definitive, giving a deeper insight into the creative process, both musically and lyrically, and telling a more complete story about the band and their art. The success of these tomes depends on the knowledge and skill of the author and level of involvement from the subject artists themselves. 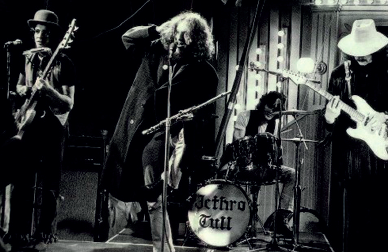 In the case of the new biography, A Passion Play, The Story of Ian Anderson and Jethro Tull, we have a new and definitive look at the band and it’s driving persona. Author, Brian Rabey, began the project already very knowledgeable about all things Tull, having learned the songs on flute during his teenage years, as a fan, and then interviewing and writing reviews on the band for years as a journalist. For this bio, the author augmented that study with hours of new interviews taking time with many of the more than 20 band members past and present. These discussions, in the bands own words, along with the author’s keen observations are woven together to create the whole. It is a thoroughly researched, fascinating look at a band that’s endured for more than four decades with their stories told from many perspectives, not just that of Ian Anderson, who has led the band since it’s inception. 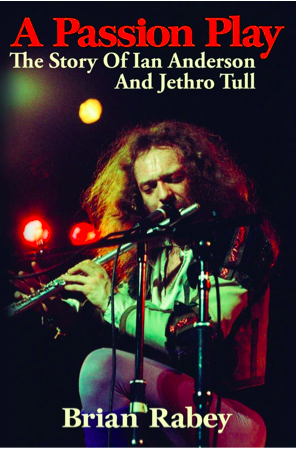 The book is divided into two major parts – part I being a history of Jethro Tull, and part II dedicated to extensive interviews of Ian Anderson himself. To begin part I, the birth of the band is covered in great detail. We learn much about these early formative years, including the revolving door of early members, how they found gigs, and got their start. We learn exactly how bassist Jeffrey Hammond-Hammond (bass), and Barrie Barlow (drums) drifted in and out of the early bands, why Mick Abrahams (guitar) ended up on exiting after their first release, and how John Evans (piano, keyboards) ended up not appearing on the first two albums – making his more formal debut on the third release, Benefit. This exhaustive early coverage is important to understanding the formative years of the outfit. The rest of part I is taken with a segment about each album, each of which interweave authors’ notes with observations from band members culled from their interviews. Included with this are stories about the comings and goings of the various members, and their reflections on those times. This section leads to my only quibble with this exceptional book, which is the uneven amount of text dedicated to each of the bands extensive catalog. The deepest coverage is fairly awarded to the first seven releases – averaging a handful of pages about each album, including many key revelations, most notably a thorough explanation as to how A Passion Play (1973) came to be rewritten and re-recorded. But this coverage tapers off after that release, such that the core mid period from – 1974’s Warchild, through 1979’s Stormwatch each receive just a page or so of space. It’s as if the interviews and author’s added commentary tapered off for an intermission, and while picking back up never return to the longer more informative earlier passages. 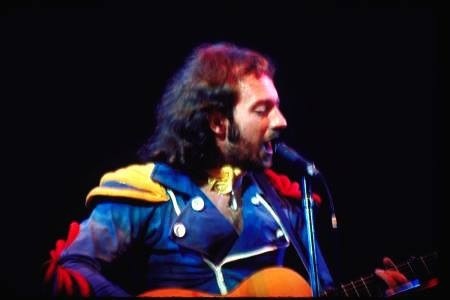 In particular most fans would agree that Minstrel in the Gallery (1975) was a high point for the band, and while the author notes how solid the release is, and guitarist Martin Barrie is shown to agree, more coverage would have been useful in particular to illuminate the top notch acoustic center of this work spanning from “Requiem”, “One White Duck…” and the phenomenal “Baker Street Blues” suite. In the end, a minor complaint, as many of the bands albums are so fully explored, along with the detailed interviews on all subjects. As noted, part II of the book “The Thoughts of Ian Anderson” focuses on the man himself, Ian Anderson, via a series of interviews, and author’s framing commentary. 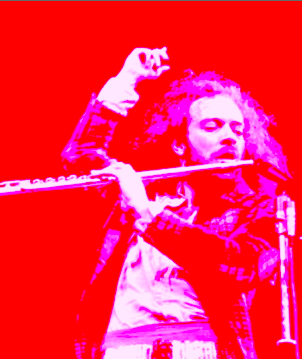 This an exceptionally presented, informative series of musings, admissions, and observations on the enduring music and legacy of Jethro Tull and Ian Anderson. In one rare segment, Ian reflects on issues with his vocal performances during the last many years. While not naming a specific malady or damage done during the “Under Wraps” tour of 1984, he notes honestly that given he is not a traditionally trained vocalist, the wear and strain of repeated performances and attempts to extend his vocal abilities in the early 1980’s has taken it’s toll. I’ve not seen as much clarity in print as to Ian’s voice until this book captured it. More importantly, Ian muses about band members past and present, talks of inspirations, instruments and his ability with each (no more alto sax for Ian!) his writing and recording and a fair amount of reflection as to why he keeps going after all these years. In addition the author captures Ian sharing many thoughts about the industry and his contemporaries in the music field. There is even a bit about his family, although brief, acknowledging he’s always been rather private about his personal life. The book wraps with some information on each of Ian’s own solo releases. Of great interest are the thoughts on the creative process including Ian noting that he writes about pictures – visual imagery driving his lyrics. Anyone who has puzzled over his writings will enjoy this segment. Also within are some honest observations about other musicians including his enjoyment of Frank Zappa, and Captain Beefheart, and some bits about Paul McCartney, Phil Collins, and Lou Graham. All told, very interesting interviews with this musical genius – there will be something new for even for well read fans. Overall, this is an exceptional work from Brian Ramey – a solid presentation with rare photos – highly recommended to fans and others interested in this seminal band, and it’s reclusive leader.